Will Intel Get Into Building Management? The Big I is in love with wall sockets as a path to controlling energy in commercial buildings and homes. MOUNTAIN VIEW, Calif. --- Intel is testing out the idea of getting into energy management through the plug. At an Intel Labs showcase at the Computer History Museum today, the chip giant showed off technologies for managing energy in commercial buildings and homes. Interestingly, though, Intel is not targeting the control of air conditioners or heaters, the usual targets of building control systems. Instead, Intel largely tries to monitor, and perhaps one day control, power going to things plugged into wall sockets: computers, lamps, television sets, etc. In the Eco Sense Buildings prototype, data from these appliances are collected by sensors and forwarded to a company’s IT backbone. The information is then shipped over to a traditional building management system. Approximately 30 percent to 60 percent of the power in a commercial building gets consumed by plug loads, but most building management systems only track the HVAC system. Thus, Eco Sense would create a bridge between the management system and all the things in the office and provide a more complete, holistic picture of energy consumption. 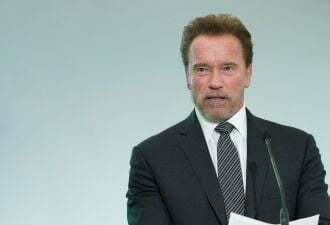 A trial is coming up in Japan. 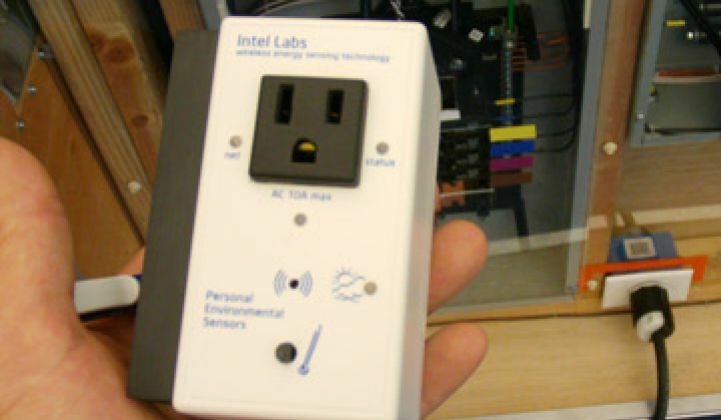 For homes, Intel Labs has created WEST, or wireless energy sensing technology. It is basically a small box that contains a microcontroller and a Wi-Fi chip that you plug into a socket. It captures energy consumption information and forwards it to a local computer or the cloud. The computer or cloud then analyzes the data and then determines what appliances can be shut off, powered down, etc. The device follows some home monitoring technology released earlier. The functionality is similar to things like The Energy Detective or TED. The advantage comes in ease of use. You just plug it in. It configures itself, allegedly. TED, on the other hand, takes a little work. Researchers, of course, were quick to add that neither product is on a product roadmap, etc. Intel also has quite an uneven history when it comes to moving into non-PC markets. intel came out with a smart thermostat a few years back. It's a nice piece of equipment and you can license it free from contract manufacturers: few takers have lined up. Still, it is interesting how Intel is leveraging its strengths in WiFi and computing to get into energy management. At the same time, and unlike most of the other building management systems, Intel is not competing directly against the established giants like Johnson Controls or Honeywell. If this works, the functionality would be additive. Most building startups -- as much as they deny it -- do at some level try to displace existing management systems. Cisco moved into building management with its purchase of Richards-Zeta, which developed one of the more interesting modern building management systems, in 2009. Last year, Microsoft said it planned to move into commercial building management, acknowledging that its Hohm product was floundering. --Supercomputers are on track to become huge energy hogs. By 2018, supercomputers will be capable of performing millions of trillions of operations per second, or 10 to the 18th operations a second. The advent of this type of technology will mark the beginning of the 'exascale' computing era. Unfortunately, these computers will also consume 530 megawatts of power. You’d have to build power plants next door. Under the Runnymede project sponsored by DARPA, Intel and a host of startups are working on ways to use resources inside computers and rewrite code into smaller “codelet” chunks for greater efficiency. Operations, for instance, can be shifted from one processor core to another so that it can be closer to the compiler. The fewer hops data has to make, the less power gets consumed by communication links. Jobs can be offloaded from processor cores running hot as well. Breaking code into codelets also eliminates dependencies and conditions. If a computing job can be accomplished at a faster rate, additional power is saved. --Intel Labs India has developed a fairly cheap bike generator equipped with a battery pack. Pedal a bike for 30 minutes and you generate enough power to run a computer for three hours. It costs $80 now but will soon drop to $20. Indian schools have mandated computer instruction, but sadly, electricity isn’t always available. --Finally, we reported earlier on how Intel will wrap one of its New Mexico facilities in a DC microgrid. Intel is also experimenting with ways to exploit DC for demand response. In one scenario, a software management system could make sure to juice the battery on everyone’s notebook in the early part of the day. Then in the afternoon, the power could be shut off and everyone would run on battery power. You can do this without a DC microgrid, but having one in place makes it easier and more responsive.